Tube with 20 Natural Rennet Tablets. Each rennet tablet is good for 20 l milk and each tablet can easily be broken in four quarter tablets. Making cheese of quantities of 5L milk possible. Natural Rennet Tablets. Tube with 20 tablets. Each rennet tablet is good for 20L milk and each rennet tablet can easily be broken in four quarter tablets. Making cheese of quantities of 5L milk possible. 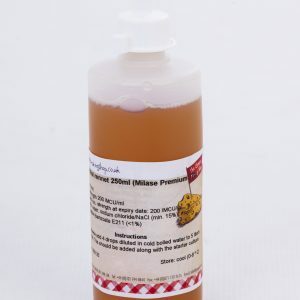 Dissolve the tablet in a little cool, clean water and add it to the milk. Simply does it! 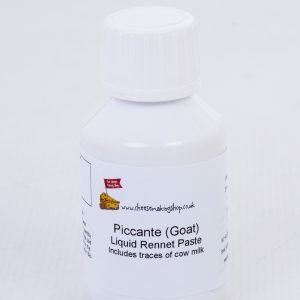 When ordering, feel free to advise what type of cheese you intend to make and we will try to supply a recipe to help you on your way. BIOREN® Premium 97P is a fine crystalline powder and contains approx. 95% table-salt (NaCL) and is therefore safe to utilise. 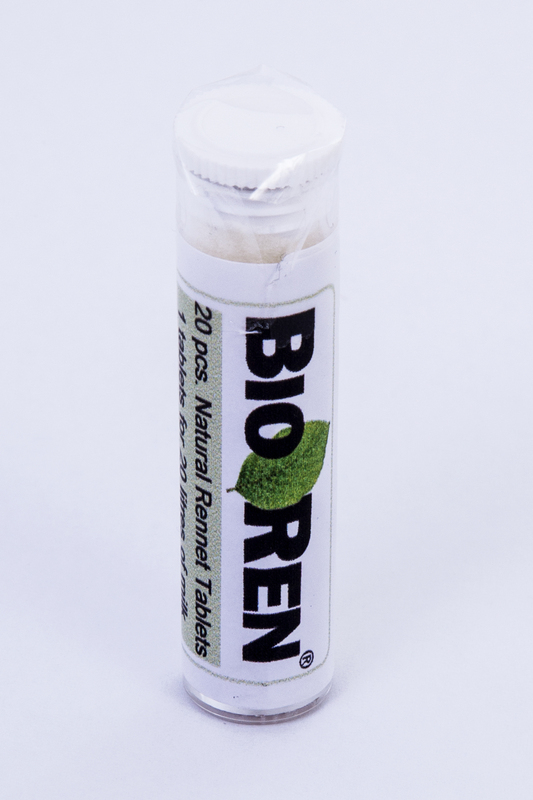 As with all natural enzymes, BIOREN®-Premium 97 P should also be stored at a temperature of between 0°C and +7°C. For product storage times over 12 months the enzyme activity might fall by more than 5%. 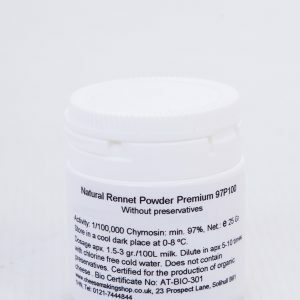 These natural rennet tablets are really simple to use. Got them very quickly too. Postal service created a problem by not delivering but good customer service in that a fresh batch is being sent. The rennet tablet underperformed a bit, so I’m going to use double next time and add some calcium chloride. 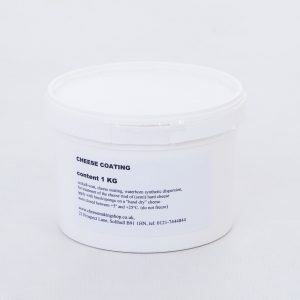 I usually use liquid rennet so just need to get use to tablets. Service was great and very speedy! Great product and service, thanks.